None of us knows what we’re talking about. That is the problem driving much of our culture-war animus. We can’t possibly understand all the nuances of every field of study, so we rely on networks of competing experts and authority figures to tell us what to believe. I do it, you do it . . . we all do it. This week, we’ve seen it again with the topic of teaching American history. A coalition of conservative scholars and activists has signed an open letter attacking the new framework of Advanced Placement US History guidelines. They hope to use their collective clout to prove that the “experts” are not all on one side of this debate. Your Experts Will Send Our Kids to Hell! As SAGLRROILYBYGTH are well aware, these new history guidelines have proven intensely controversial. Conservative lawmakers in Oklahoma have proposed nixing the new standards for Sooner schoolchildren. Conservative pundits have blasted the framework as biased and warped. Professional organizations such as the National Council for History Education and the American Historical Association have fought back, insisting that the new framework is exactly the sort of thing we need in America’s history classrooms. And, as I argue in my new book, these battles over the nature of American history have a long history themselves. 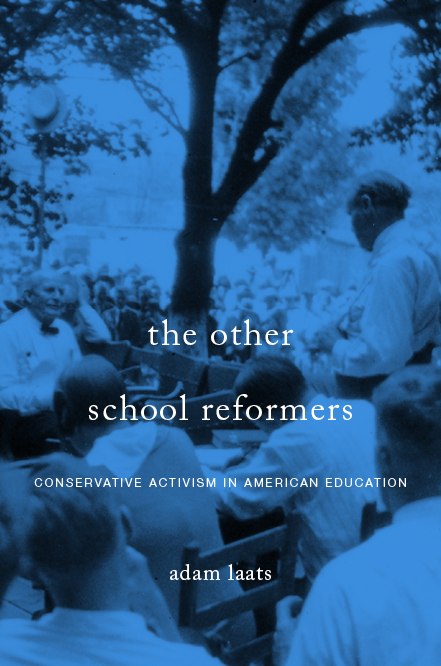 In the 1930s, conservatives successfully blocked a popular series of textbooks that they felt told a slanted, anti-American vision of the nation’s past. More recently, the attempt in the 1990s to write a set of national history standards was sunk when conservatives made similar complaints. In those battles as in this one, culture-war combatants have hoped to win their case by compiling intimidating lists of experts who back their respective positions. This week’s letter includes a mix of signatories. Some of them really are leading academic historians, such as George Marsden and Joseph Kett. And they take their inspiration from a recent diatribe by renowned historian Gordon Wood. Other signers are not historians, but conservative scholars who disagree with the general drift of mainstream academic life, folks such as Robert George and Patrick Deneen. Yet another category of signer is that of activist conservative historians, a rare breed including folks such as Ronald Radosh and Victor Davis Hanson. Plus, there are political signatories such as Lynne Cheney. As a professional academic historian, I’m certainly not neutral in this fight. My sympathies lie with the new framework. Don’t get me wrong: I admit that these conservative charges are not without merit. Academic historians really have isolated themselves over the past forty years. Americans love history, but they find academic history simply beside the point. Academic historians have tended to obsess over issues that only other academics care about, leaving high-schoolers and regular folks to learn their history from journalists and from Hollywood. But that has always been the case with scholarly work and it does not mean that the big lessons of the past forty years should not be taught to high-schoolers. More important here, though, is the way culture-war issues are often addressed by letters like this one. Because none of us can understand the nuances of every issue, because none of us really understands what all the fuss is about, we rely on networks of competing authorities to give us our culture-war positions. Creationists, of course, have always compiled similar lists of experts. As I noted in my first book, sometimes such lists took over the whole argument. For instance, T.T. 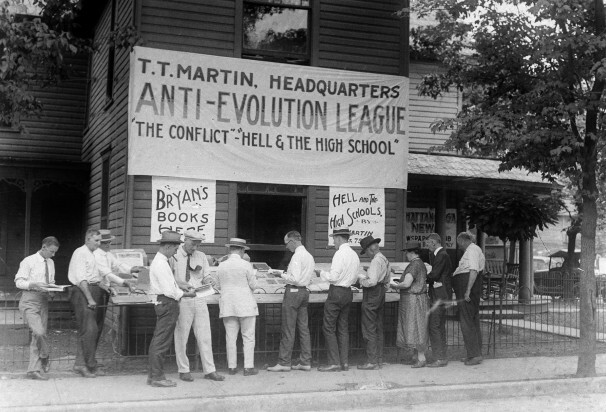 Martin’s 1923 book, Hell and the High Schools, was a slim 175 pages. Of those pages, a full 67 were nothing but lists of anti-evolution scientists and experts. For those few true experts such as Ronald Numbers or Glenn Branch, it is possible to wade through these lists of names to tease out the scientific street cred of each person. For most readers, though, the lists of experts serve only to prove the reliability of writers’ claims. In every culture-war field, we rely on experts we trust to tell us what to believe. And then we believe it, whether or not we really know what we’re talking about. This doesn’t mean we’re stupid. It doesn’t mean we’re ignorant. As Dan Kahan argues so convincingly, our beliefs about evolution tells us about who we are, not about what we know. What are we to believe about the new Advanced Placement US History standards? Are they the best wisdom of historians, vetted by true experts in the field and reflecting the latest developments of academic knowledge? Or are they the puerile croaking of a self-satisfied and out-of-touch ivory-tower elite, bent on promoting ideology over true knowledge? The answer, of course, depends on which group of experts you prefer.